Could a new M&S be heading to Ripon? A new £10m retail park for Ripon has been recommended for approval by planning officers at Harrogate Borough Council. Going before the Harrogate Borough Council planning committee on Tuesday, July 25, if approved the plans from Rothstone Estates would bring a Marks and Spencer store back to the city, but the names of the other three retailers for the Rotary Way site are yet to be confirmed. Ripon residents have taken to social media to share their views on the development - some raising concern about the effect it would have on the city's independent retailers, and others welcoming the plans. 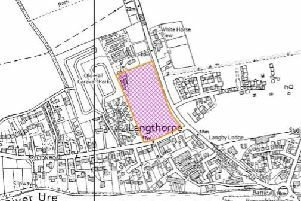 The Managing Director of Rothstone, Mark Rothery, said: “We are pleased with the officer’s recommendation to approve the proposals. “If planning is approved this development will see one of the biggest retail names come to Ripon. By bringing M&S back to the city we will help to further enhance the attraction of Ripon as a retail destination. The remaining units are targeted to national retailers which will also add to Ripon’s retail mix. "During our public consultation residents suggested a number of stores which are absent and retail sectors which poorly served in Ripon. We have had discussions with retailers and there is significant interest in Ripon. We are very confident in doing a deal and subject to planning permission we will announce these retailers in due course. The investment would create 80 new full and part-time jobs.